Ramadan is coming! And we are excited!! What is Ramadan, you ask? 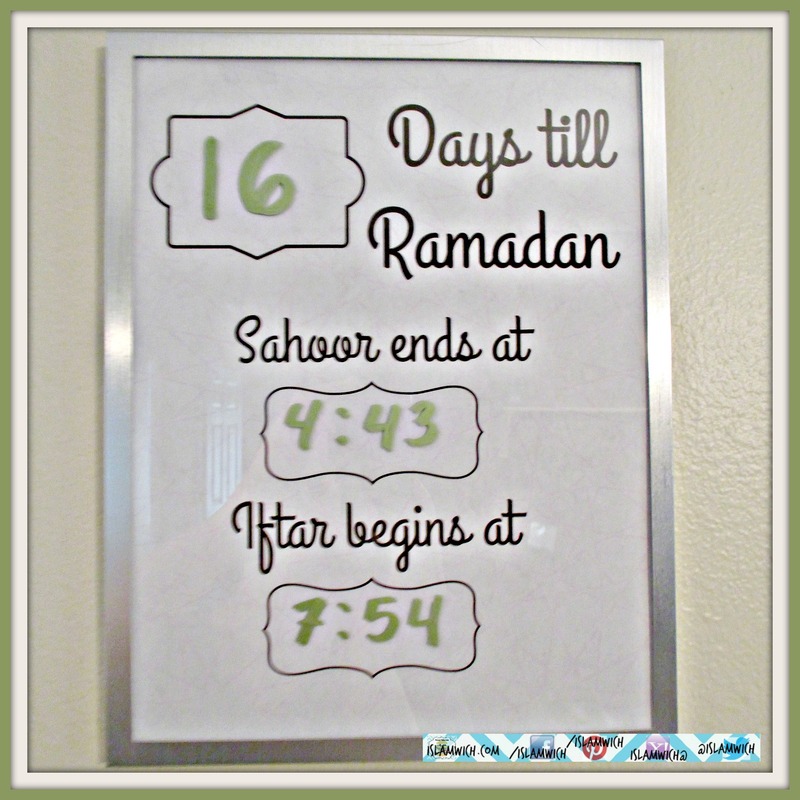 Ramadan is a month of fasting from sun up to sun down and so much more. Read more here if you are a non-Muslim and have like a million more questions. Why would we be excited about THAT, you ask? Well, if you let it, fasting in Ramadan can transform you into a healthier and more spiritual, grateful, charitable, patient, and disciplined person. Ramadan is a month where you empty your stomach to feed your soul. This year, I decided to be prepared for Ramadan instead of letting it sneak up on me like I usually does. And I thought why not share my prep with the good people who come to islamwich. So here are a few great ways to prepare for the holy month. Please feel free to share yours in the comments. Fasting prior to the month of Ramadan is pretty much the only way to get your stomach ready for the Ramadan-athon. And bonus!, fasting any time of the year is good for the soul. 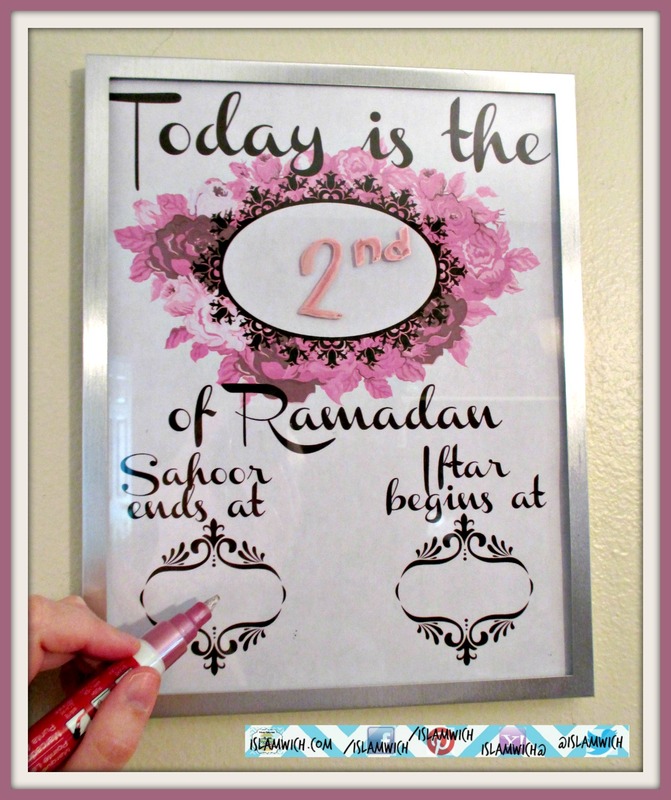 This year I made a printout that both lets me keep track of how many days are left until Ramadan and lets me know the times I have to begin and end my fast. I bought a document frame (8.5″x 11″) at the Dollar Tree (holla! it’s a dolla!). Printed this doc that you can download here and used one of my liquid chalk pens (you can use dry erase marker or any marker that can be wiped away daily) to update on top of the glass of the picture frame. Guys, my printer ink was low so you kinda can’t see the tessellation in the background, but I’m sure your printer ink is always full (because you’re probably more responsible than I) and you will fare better printing this. Now, I know what you might be thinking, this is already a thing floating around on Pinterest. Yes, you’re correct. And I was just going to print out the one I found, but it led me to a wonky link, leaving me to take creative matters into my own hands and depleted printer. But, as I am sure you already know, Ramadan is not about when you can eat. Ramadan is about spiritual growth. 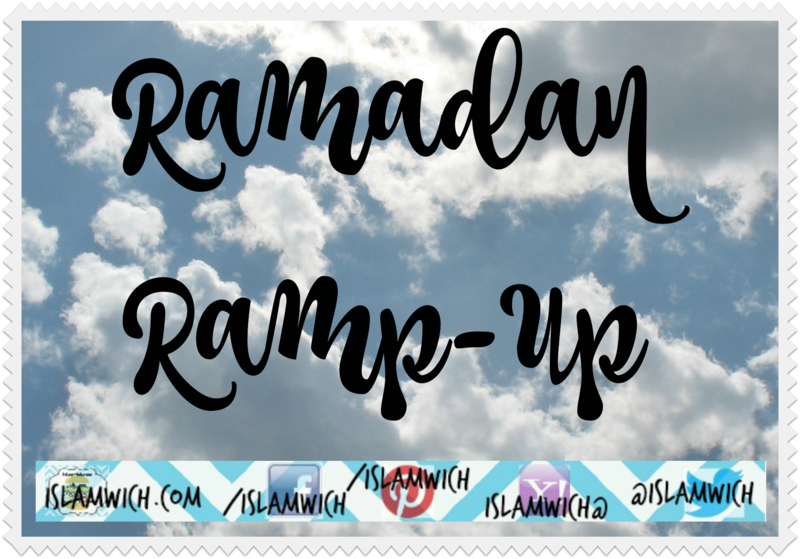 Ramadan is like a yearly overhaul or spring-cleaning for the body and the soul (even though it doesn’t always happen in spring). Muslims must get rid of their bad habits, reorganize, and start fresh with a clean slate. But before that all kicks off, I want to write down my intentions for bettering myself in Ramadan. I think it is important to know in what specific ways I want to improve myself during Ramadan. And writing it all down makes it more concrete, something to return to during Ramadan and beyond to make sure that I am not only establishing good habits, but that I am also continuing the practices throughout the year. Keeping it all floating around in my head never seems to work out well for me. 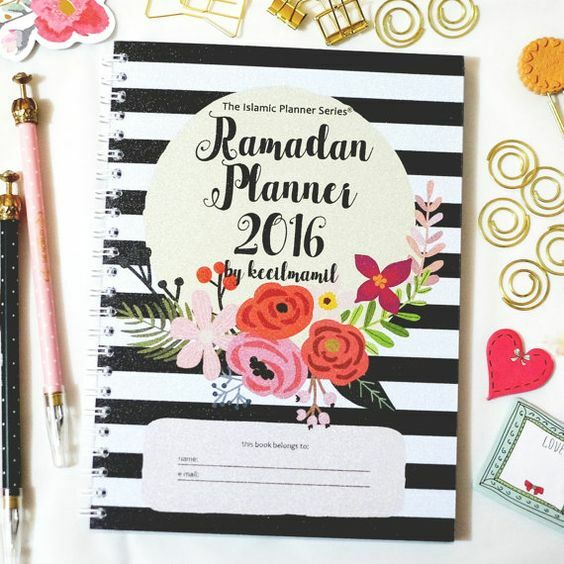 A great resource to do just that and so much more is this super adorbs Ramadan planner (get it here). Tell us what your Ramadan Ramp-Up entails in the comments. Memorization is a good plan indeed! I am going to finish my memorization of Juz 30 inshaAllah. May we be able to reach Ramadan and have a happy, healthy, and productive holy month, Ya Allah Ameen! Lovely post and actually this will help many of us in getting geared up and setting our goals for the blessed month of Ramadan. May Allah SWT reward you for writing this and may Allah give us the strength and opportunity to fast in this Ramadan, ameen! Jazakum Allah Khair and a big Ameen.